The first thing we must understand is that professing Christians were not the only ones who celebrated a festival called "Easter." "Ishtar", which is pronounced "Easter" was a day that commemorated the resurrection of one of their gods that they called "Tammuz", who was believed to be the only begotten son of the moon-goddess and the sun-god. In those ancient times, there was a man named Nimrod, who was the grandson of one of Noah´s son named Ham. Ham had a son named Cush who married a woman named Semiramis. 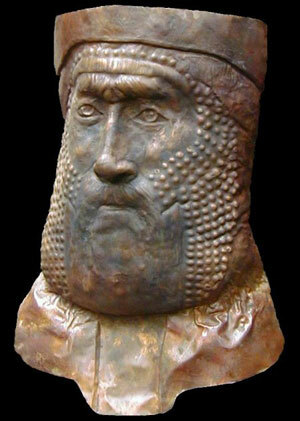 Cush and Semiramis then had a son named him "Nimrod." After the death of his father, Nimrod married his own mother and became a powerful King. The Bible tells of of this man, Nimrod, in Genesis 10:8-10 as follows: "And Cush begat Nimrod: he began to be a mighty one in the earth. He was a mighty hunter before the Lord: wherefore it is said, even as Nimrod the mighty hunter before the Lord. And the beginning of his kingdom was Babel, and Erech, and Accad,and Calneh, in the land of Shinar." Nimrod became a god-man to the people and Semiramis, his wife and mother, became the powerful Queen of ancient Babylon. Nimrod was eventually killed by an enemy, and his body was cut in pieces and sent to various parts of his kingdom. Semiramis had all of the parts gathered, except for one part that could not be found. That missing part was his reproductive organ. Semiramis claimed that Nimrod could not come back to life without it and told the people of Babylon that Nimrod had ascended to the sun and was now to be called "Baal", the sun god. Queen Semiramis also proclaimed that Baal would be present on earth in the form of a flame, whether candle or lamp, when used in worship. Semiramis was creating a mystery religion, and with the help of Satan (ok? ), she set herself up as a goddess. Semiramis claimed that she was immaculately conceived. She taught that the moon was a goddess that went through a 28 day cycle and ovulated when full. She further claimed that she came down from the moon in a giant moon egg that fell into the Euphrates River. This was to have happened at the time of the first full moon after the spring equinox. Semiramis became known as "Ishtar" which is pronounced "Easter", and her moon egg became known as "Ishtar´s" egg." Ishtar soon became pregnant and claimed that it was the rays of the sun-god Baal that caused her to conceive. The son that she brought forth was named Tammuz. Tammuz was noted to be especially fond of rabbits, and they became sacred in the ancient religion, because Tammuz was believed to be the son of the sun-god, Baal. Tammuz, like his supposed father, became a hunter. The day came when Tammuz was killed by a wild pig. 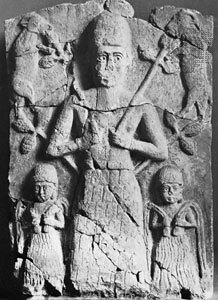 Queen Ishtar told the people that Tammuz was now ascended to his father, Baal, and that the two of them would be with the worshippers in the sacred candle or lamp flame as Father, Son and Spirit. Ishtar, who was now worshipped as the "Mother of God and Queen of Heaven", continued to build her mystery religion. The queen told the worshippers that when Tammuz was killed by the wild pig, some of his blood fell on the stump of an evergreen tree, and the stump grew into a full new tree overnight. This made the evergreen tree sacred by the blood of Tammuz. She also proclaimed a forty day period of time of sorrow each year prior to the anniversary of the death of Tammuz. During the civil war that broke out after the revolution, Russia was gripped by a famine that began in spring 1921 and lasted all of 1922. The famine was caused by the policies of Lenin and the Bolsheviks, who instructed food to be seized from the poor. They believed peasants were actively trying to undermine the war effort and by taking their food away it reduced their strength. Lenin declared 'let the peasants starve', the result of which was to force them to resort to trading human flesh, including heads, on the black market (left). 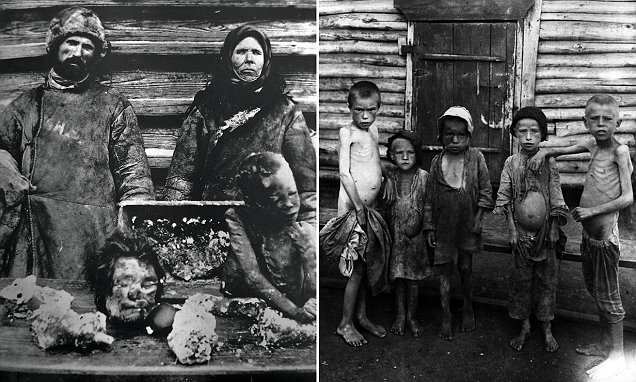 The effects of starvation can been seen in the emaciated bodies of these children in Samara (right). Aid workers from Europe and the United States eventually arrived and one said 'the famine is so acute' one woman 'was found eating the corpse of her daughter'. 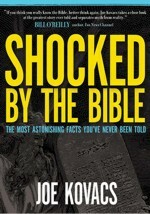 Once again Archeology proves the Bible's accuracy! This incredible timelapse project shows how one of the world's most iconic green spaces is a park for all seasons. Mesmering footage of Central Park in New York City chronicles how the leafy oasis transforms over the course of a year... But the project was no mean feat for Tyler Fairbank, who spent two whole years (eight seasons) just shooting the footage. Whether it be winter snow in the background, autumnal leaves on the trees, or pedestrians rowing boats in glorious summer sunshine, all can feature in a single frame of Mr Fairbank's flowing video. The short final clip features a series of well-known landmarks, changing flawlessly from spring into winter and back again. Included in the video are Sheep Meadow's open playing field, the Jacqueline Kennedy Onassis Reservoir and the historic Gapstow Bridge set against the Manhattan skyline. 'The Seasons of Central Park chronicles the incredible seasonal and atmospheric changes that take place every year throughout Central Park,' said Mr Fairbank, aged 28. Washington (AFP) - The 1979 accident at the Three Mile Island power plant, the worst in US history, claimed no lives but provoked an outcry over the country's nuclear electricity program. Caused by mechanical, design and human errors, the partial meltdown registered a five on the International Nuclear Event Scale that peaks at seven, the rate given to the Chernobyl (1989) and Fukushima (2011) disasters. 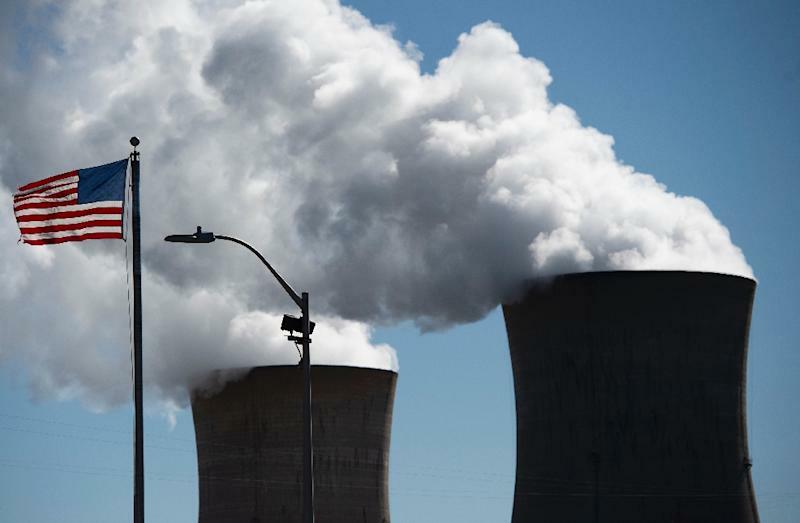 Here is a rundown of what happened on March 28, 1979 at one of the two reactors at the Three Mile Island Generating Station in eastern Pennsylvania. FDR and Stalin, the History is conveniently overlooked! In her book, "Roosevelt and Stalin", Susan Butler tells the story of how the leader of the capitalist world and the leader of the Communist world became more than allies of convenience during World War II. They shared the same outlook for the postwar world, and formed an uneasy yet deep friendship, shaping the global stage from the war to the decades leading up to and into the new century. The book makes clear that Roosevelt worked hard to win Stalin over, by always holding out the promise that Roosevelt’s own ideas were the best hope for the future peace and security of Russia. Stalin, however, was initially unconvinced that Roosevelt’s planned world organization, even with police powers, would be strong enough to keep Germany from starting a new war. Wow! You don't see to many people talking about that do you? The democrat icon Franklin Roosevelt met with, worked with and even helped one of the biggest butchers of all time stay in power. It could be said that because America helped to save the USSR from Germany, FDR also helped Stalin murder tens of millions of people, and keep eastern Europe in chains and slavery for 50 years! The story gets even worse. Another book, "Roosevelt and Stalin: Portrait of a Partnership" describes the friendship that developed between the two men, and history shows that the friendship bothered our true ally Winston Churchill! For one thing, Roosevelt pushed for the US to recognize the Soviet Union well before Pearl Harbor, despite the pesky matter of communists despising capitalists and vice versa. And he supported US help for Russia when “most Americans still thought of Europe’s problems as being as far away as the moon.” The two men bonded by making fun of an annoyed Churchill, and Stalin even teases FDR by acting offended to learn he’s called “Uncle Joe” behind the scenes! How's that for dissing your allies? 1 Our modern educational system won't allow such news to fly. They have dumbed down American children for at least 50 years now. 4 Big Business, Big Politics, Big Banksters and Big Government want to enslave the American worker and force them to work for "Mexican" wages--- maybe even 'Chinese" wages, and that is the Plain Truth! Since the end of the Cold War there has been considerable reviewing of President Roosevelt’s policies toward the Soviet Union. Most notable has been the essay of Professor Arthur Schlesinger Jr., who has argued that the 1989 counter-revolution in Central Europe vindicates President Roosevelt’s wartime diplomacy, which, he says, had been criticized for its “naiveté” about Stalin. Wait, did you read that?c Professor Arthur Schlesinger Jr., says FDR was “naiveté” about Stalin! Wow, yet we are to believe that Donald Trump deserves to be impeached! Wake up America. Your media, your government, the globalist, and your police state hates you! JACK the Ripper who stalked London more than 130 years ago was a demon barber with a taste for human flesh, according to startling new scientific evidence. A blood-covered shawl found at one of the murder scenes is believed to contain DNA from both butchered victim Catherine Eddowes and the world's most infamous serial killer. This is definitely worth the read! Neil Armstrong climbed out of the lunar module simulator at NASA HQ after a particularly harrowing practice session for the upcoming Apollo 11 moon landing, promptly lit up a cigarette and announced, "Well, that's my one cigarette for the year." "It was the only time anyone saw him smoke anything but the occasional cigar," says author Jim Donovan, whose new book Shoot For The Moon contains the definitive account of that momentous mission. "When the primitive Apollo Guidance Computer - with just 72kB of memory and a processing speed millions of times slower than today's average smartphone - began to blare alarms at 40,000 feet it took incredible skill on the part of the controllers not to abort the entire mission." Yes, this is a real story- Mike the Miracle Chicken had his head cutoff- and lived ANOTHER 18 months! Mike the Headless Chicken (April 20, 1945 – March 17, 1947), also known as Miracle Mike, was a Wyandotte chicken that lived for 18 months after his head had been cut off. Although the story was thought by many to be a hoax, the bird's owner took him to the University of Utah in Salt Lake City to establish the facts. On September 10, 1945, farmer Lloyd Olsen of Fruita, Colorado, was planning to eat supper with his mother-in-law and was sent out to the yard by his wife to bring back a chicken. Olsen chose a five-and-a-half-month-old Wyandotte chicken named Mike. The axe removed the bulk of the head, but missed the jugular vein, leaving one ear and most of the brain stem intact. Due to Olsen's failed attempt to behead Mike, the chicken was still able to balance on a perch and walk clumsily. He attempted to preen, peck for food, and crow, though with limited success; his "crowing" consisted of a gurgling sound made in his throat. When Mike did not die, Olsen instead decided to care for the bird. He fed it a mixture of milk and water via an eyedropper, and gave it small grains of corn and worms. In March 1947, at a motel in Phoenix on a stopover while traveling back from tour, Mike started choking in the middle of the night. He had managed to get a kernel of corn in his throat. The Olsens had inadvertently left their feeding and cleaning syringes at the sideshow the day before, and so were unable to save Mike. Olsen claimed that he had sold the bird off, resulting in stories of Mike still touring the country as late as 1949. Other sources say that the chicken's severed trachea could not properly take in enough air to be able to breathe, and it therefore choked to death in the motel. Show of hands: who’s excited to “fall back” this Sunday? Some think the illusion of an extra hour of sleep is completely worth it. 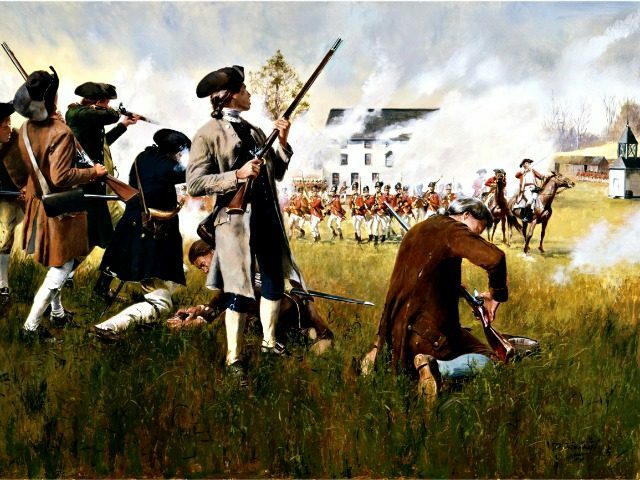 While others bemoan the fact that it starts getting dark at 4:30 p.m.
Thise has been a contentious 227 year old history that didn’t begin in the U.S. and has many theories as to why it exists. How many of you said it exists for the farmers or for school kids? According to Congressional Research, daylight savings was originally put in place to give people more daylight hours to work and do other activities. Conceived by Benjamin Franklin in 1784 at the time when he was Minister to France, Franklin felt it was only natural that when it was dark outside, more people would be sleeping and that extending daytime hours according to season would increase productivity. William Willet proposed that daylight savings time be adopted in British Parliament because doing work and other activities in daylight hours would reduce demand on artificial light. Germany began observing daylight savings to conserve fuel during World War I. The U.S. went through a lot of back-and-forth regarding daylight savings. The practice was adopted in 1918, abolished for unpopularity after WWI and reinstated during WWII — at this time it was called War Time and took place year round. Several states maintained daylight savings after this ended but it caused much angst to the transportation industry that pushed for uniformed timezones. After the Uniform Time Act of 1966 was passed, states could choose to participate in daylight savings, but the whole state had to adhere to the decision, but now states can split if they are also split according to time zone. 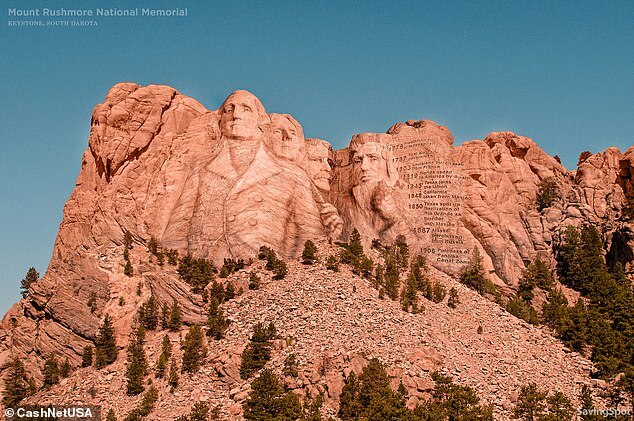 A ‘Statue of Liberty for the West Coast,’ the entire torsos of the presidents on Mount Rushmore, and a memorial honoring Native Americans are just a few of America’s great monuments that were once planned but never built. Digital renderings created by NeoMam Studios offer a glimpse into what might have been. ‘We used lost plans and schematics to bring these unbuilt structures to life,’ the company said in a statement. This is 15 Years Old! Right on Target! 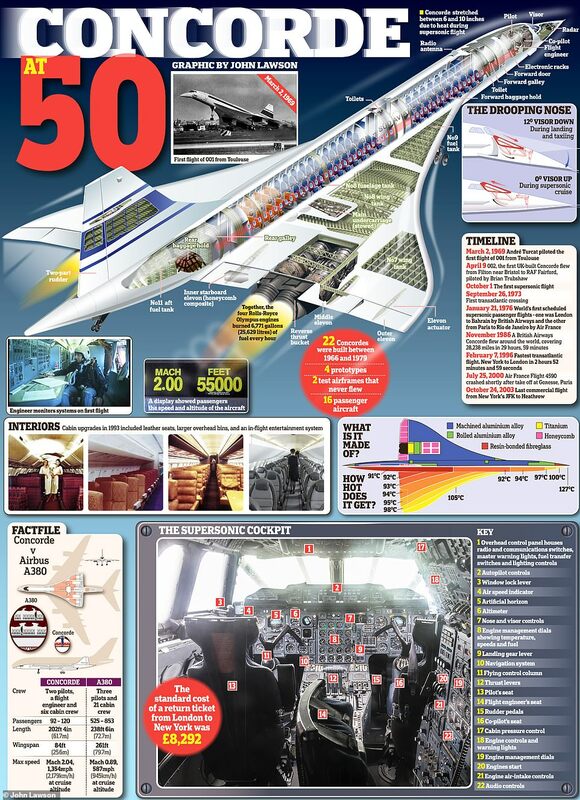 The supersonic airliner that changed the game of long distance travel by reaching extreme speeds and using a drooping nose for takeoff will be celebrated today on the 50th anniversary of its maiden flight. Thousands of aviation enthusiasts will flock to museums and airfields where Concorde is on display, including UK Runway Visitor Park, Manchester, the Museum of Flight near Edinburgh and Aerospace Bristol, where they will have the opportunity to meet Concorde pilots, step on board the aircraft and view footage of the first flight. On March 2 1969 Concorde made its maiden flight from Toulouse Airport where it was flown for 27 minutes by test pilot Andre Turcat. 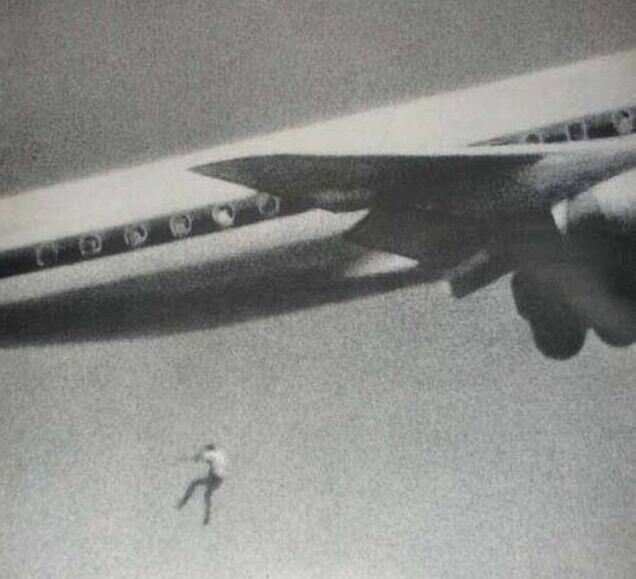 This grainy photograph captured the moment a teenage stowaway with wanderlust fell to his death from a Japan Airlines flight (left). Sydney-born Keith Sapsford was only 14 years old when he hid inside the wheel-well of the Japan-bound flight in 1970. But the compartment (right) opened mid-air and the boy plummeted 60 metres to the ground below near Sydney Kingsford Smith Airport. Commissioned in 1941, the USS Hornet of the United States Navy was involved in the Doolittle Raid on Tokyo as well as the Battle of Midway before being irreparably damaged by Japanese torpedoes and dive-bombers during the Battle of the Santa Cruz Islands in 1943. She was ultimately abandoned by US forces and later sunk by Japanese destroyers. Now, 76 years after she disappeared beneath the waves, the research vessel Petrel - which famously located the USS Indianapolis back in 2017 - has reported that it has discovered the wreck of the USS Hornet on the sea floor off the Solomon Islands. "We had the Hornet on our list of WWII warships that we wanted to locate because of its place in history," said Robert Kraft of Vulcan - the firm responsible for locating the vessels. Some footage from the expedition, as well as images of the wreck, can be viewed in the video below. Teachers are all too often silent about the origin of the customs they are forced to teach in today's schools! If they were to speak out, many would lose their jobs! Isn't it time we examined why we encourage our children to celebrate St. Valentine's Day - when it is never mentioned in the Bible as a practice of the New Testament Church? Today, candymakers unload tons of heart-shaped red boxes for February 14, while millions of the younger set are annually exchanging valentines. Florists consider February 14 - St. Valentine's Day - as one of their best business days. And young lovers pair off - at least for a dance or two - at St. Valentine's balls. Why? Where did these customs originate? Where do we find any such practices in the Bible? How did we come to inherit these customs? St. Valentine’s Day is the world’s “holiday of love.” Since the Bible states that God is love (I John 4:8, 16), does He approve of the celebration of this day? Does He want His people—true Christians—partaking of the candy and cards, or any customs associated with this day? When God says He wants you to live life abundantly (John 10:10), does that include celebrating a festive, seemingly harmless holiday like Valentine’s Day? The God who gives us everything—life, food, drink, the ability to think for ourselves, etc.—surely approves of St. Valentine’s Day, the holiday for lovers to exchange gifts—right? Do not be so certain. Do not assume anything. Do not even take this article’s word for it. Go to history books and encyclopedias. Go to the Bible. Then you will know the real truth behind St. Valentine’s Day. And you will know what God expects you to do about it! Like Christmas, Easter, Halloween, New Year’s and other holidays of this world, St. Valentine’s Day is another attempt to “whitewash” perverted customs and observances of pagan gods and idols by “Christianizing” them. As innocent and harmless as St. Valentine’s Day may appear, its traditions and customs originate from two of the most sexually perverted pagan festivals of ancient history: Lupercalia and the feast day of Juno Februata. February 14, 2019 marks the 90 year anniversary of the bloody Valentine's Day Massacre at a warehouse on the North Side of Chicago, widely accepted to have been orchestrated by Al 'Scarface' Capone (top, right) although no one was ever convicted. 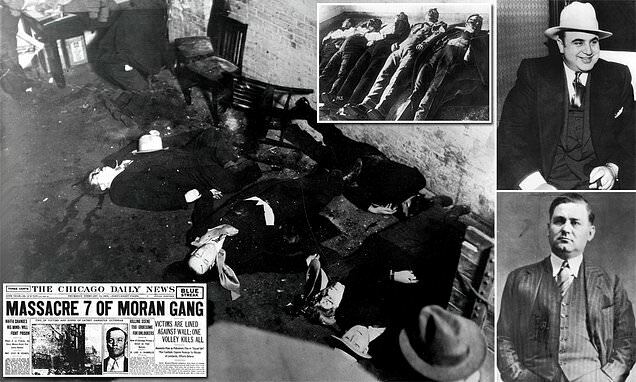 By 1929, disputes over territory and the bootlegging industry had reached fever pitch and Capone wanted to strike a decisive blow against his arch-rival Bugs Moran (bottom, right) and the North Side Gang. At 10.30am, four of Capone's men from the Chicago Outfit, two disguised as uniformed policemen, headed into a North Side warehouse where they ordered seven of Moran's associates to line up against the wall. Thinking they were being arrested, the gangsters complied. Capone's gang sprayed them with 100 bullets from their Thompson machine guns. The crime went unsolved because authorities weren't able to officially connect Capone with any substantial evidence; the case remains unsolved to this day - but he is widely accepted to have been responsible. So when history repeats itself ( and it always does) EXPECT DEATH! Anarchists are not knew in American history, but sadly, most Americans have little knowledge of the extreme dangers this political group will bring us in the coming years. You need to know, and the media isn't reporting that Plain Truth about the left wing of The Democrat Party, who are anarchist! From Wikipedia: Anarchism in the United States began in the mid-19th century and started to grow in influence as it entered the American labor movements, growing an anarcho-communist current as well as gaining notoriety for violent propaganda by the deed and campaigning for diverse social reforms in the early 20th century. In the post-World War II era, anarchism regained influence through new developments such as anarcho-pacifism, anarcho-capitalism, the American New Left and the counterculture of the 1960s. In contemporary times, anarchism in the United States influenced and became influenced and renewed by developments both inside and outside the worldwide anarchist movement such as platformism, insurrectionary anarchism, the new social movements (anarcha-feminism, queer anarchism and green anarchism) and the alterglobalization movements. This philosophy has caused world wars (YES WORLD WARS) assainations of world leaders, and a death toll that would rival Hitler! The assisnation of Archduke Ferdinand, which caused World War 1 and 37 MILLION DEAD! What is happening today in the streets of America, France and Asia, caused mainly by George Soros and Democrat leaders, will eventually lead to disaster, and possibly MILLIONS of death! This is not an exaggeration, it is the future if we do not put a halt to anarchy in the streets! Unless we start using the same tactics of the left we will lose. Show up at their homes and RESIST. Follow them into restaurants and yell at him. FIGHT BACK America..